Image by Trent Gilliss, © All Rights Reserved. 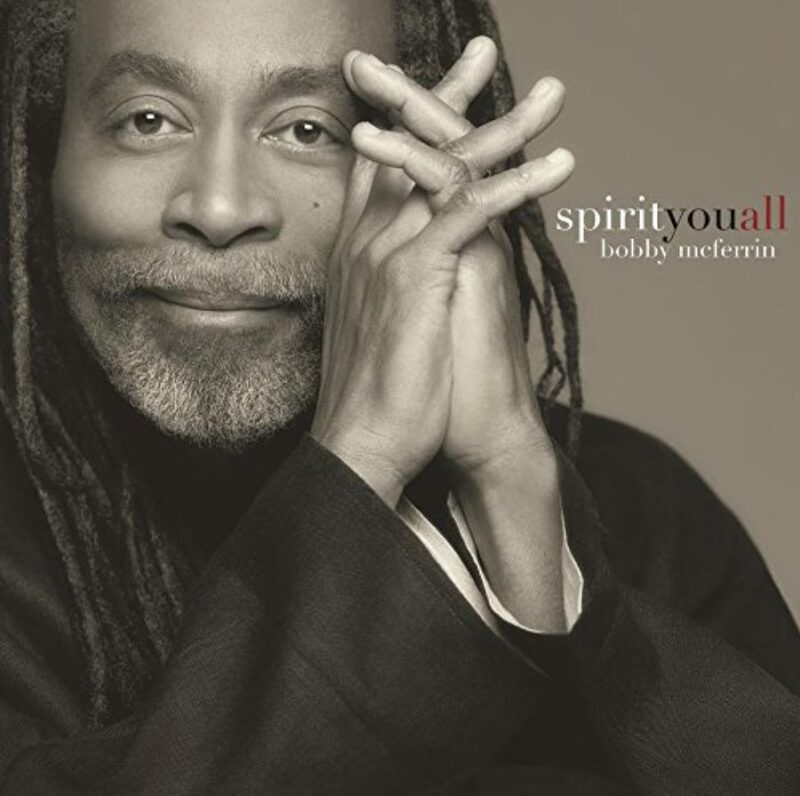 Bobby McFerrin is a ten-time Grammy Award winner. He is one of the world's best-known vocal innovators and improvisers, a world-renowned classical conductor, and a passionate spokesman for music education. BOBBY MCFERRIN: This is what I want everyone to experience at the end of my concert is everyone has this sense of rejoicing. I don’t want them to be blown away by what I do, I want them to have this sense of real, real joy from the depths of their being. Because I think when you take them to that place then you open up a place where grace can come in. KRISTA TIPPETT, HOST: Who better to contemplate the human voice — its delights, its revelations, and its mystery — than Bobby McFerrin? He’s won 10 Grammys and is as comfortable with Chick Corea as with Mozart. He’s also known for drawing thousands of strangers into singing the Ave Maria, beautifully, to their own deep surprise. MS. TIPPETT: I’m Krista Tippett and this is On Being. 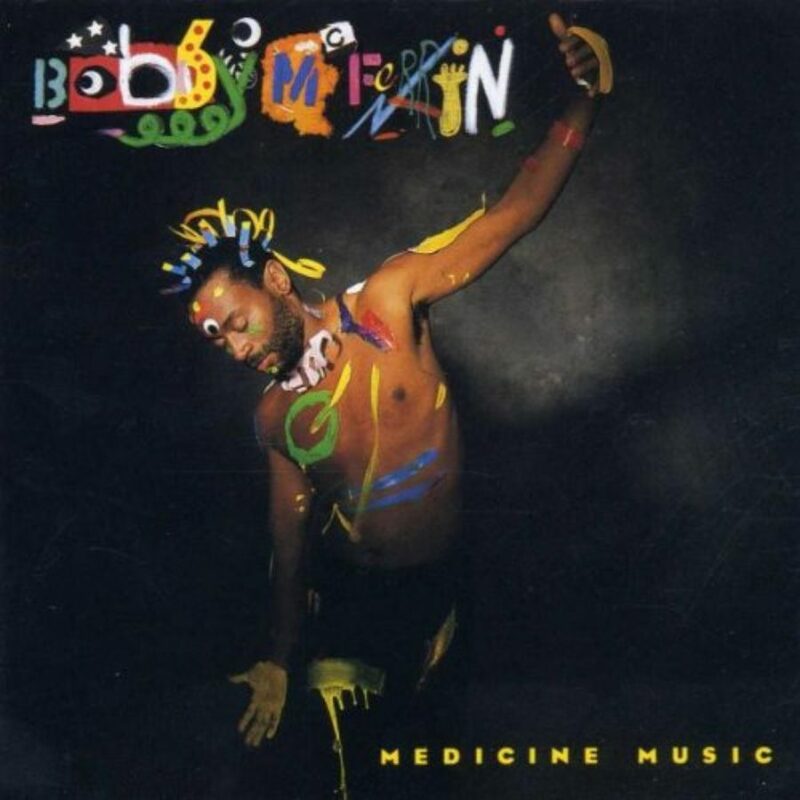 I sat down with Bobby McFerrin at Orchestra Hall in Minneapolis in 2011 and experienced the reflective side of this famously hyperkinetic performer. MS. TIPPETT: So, where I want to start is where I’d start with everybody: I just want to hear about the religious or spiritual background of your childhood. Was there one? MR. MCFERRIN: Mm-hmm. I attended an Episcopal church in Los Angeles. I sang in the children’s choir. I was an alter boy. I loved the service. I loved the music. We had a wonderful choir director. MS. TIPPETT: Did you have an Anglican boys’ choir? MR. MCFERRIN: It wasn’t a boys’ choir no. It was a children’s choir. MS. TIPPETT: Where — what was that about? MS. TIPPETT: It’s a rhythm of life. MR. MCFERRIN: … to the day. MR. MCFERRIN: I like the fact that you stopped whatever you were doing at a particular time and you reminded yourself, you brought yourself back to your calling — you brought yourself back to, you know, the voice of God as well as you could, you know, and — and I really thought that I wanted to share that life. MS. TIPPETT: That’s really interesting, and, I mean, I know there was a musical background to your childhood. MS. TIPPETT: Your family is musical. I was curious, I mean, your father was an opera singer. MS. TIPPETT: And a great opera singer. I did also read that he liked to sing the spirituals. MR. MCFERRIN: Oh, and he did a fabulous job. I haven’t heard anyone sing the spirituals as well as my father. He really knew how to find the dirt and the bones in the tunes. MS. TIPPETT: So I work with the human voice in radio. MS. TIPPETT: I mean I do a lot of my interviews just by ISDN, where all I’m working with is the voice. MS. TIPPETT: And people in radio often say that radio is also the most visual medium. And I think of you as a kind of an explorer, you know, on many frontiers of the voice. How do you think about what the human voice alone can convey? Is that something you ponder in that way? MR. MCFERRIN: I do. I’ve thought about that many times. One of the reasons that I enjoy singing songs without words is because it allows the individual hearer to bring their own story to the sounds that I make. Now I love songs with words. There are some absolutely fabulous lyricists in the world. And I wish that I had the talent to — to convey an emotion or a feeling to someone with the right nuance, you know, using words. But somehow I’ve gotten into conveying emotions through simply sounds because it affords me the opportunity to — to sort of have almost an individual meeting, you know, like you and I just speaking together just the two of us. MR. MCFERRIN: If I say, for example, “Oh I love you so much, you know, blah, blah blah,” then everyone has the same experience. But if I say (singing melody) then everybody has a different experience. They have you know — to you, I mean, what did that convey? MS. TIPPETT: They have the experience that arises in their imagination and their memory. MS. TIPPETT: Mm-hmm. The other thing though is you’re working with the voice but it’s — it’s actually your body, right, that’s the instrument. MS. TIPPETT: I mean to say that it’s just the voice, in fact, is not quite big enough. MR. MCFERRIN: No. I — I get what you’re saying. You have to take care of yourself I think to sing well or to be a conveyor of song, to catch songs. I like to think of myself as a person who catches pieces. You know that the songs are out here, and they’re just simply waiting for me to reach out for one and grab it and pull it down and have it come out of my mouth. MS. TIPPETT: I don’t know if you can answer this question, but a question that rises in my mind is when you are singing when you are making your music — singing is not really … it’s a little too small of word also — what does it feel like to be in your skin? MR. MCFERRIN: Um, I’m very relaxed on stage. The stage is my second home. The stage is a platform for adventure and I’m ready for anything that happens to come up. I feel safe. I feel rested. I feel full of potential and opportunity. I feel great. I feel really good that I get to do — I get to use my gift. That’s very gratifying, you know? MR. MCFERRIN: I feel — my father was a humble man. He was a fabulous singer, but he was very, very humble. And he use to say, you know, “God’s given me this gift; he’s entrusted me with a talent,” is what he use to say, “and it’s my job to take care of it.” And those words have stuck with me, you know. I feel like that I’ve been entrusted with a talent; it’s my job to take care of it, to do my best, to give the audience my best. And by best, it means I’m myself; I’m as close to myself as possible. I’m as close to my genuine self. When I do workshops with students, we talk a lot about performance because they all want to perform. And I tell them to do their best — not to perform, simply be themselves: the same voice, the same self that they are when they are simply walking from class to class or standing in, you know, line waiting to get on the bus or whatever. MR. MCFERRIN: Yeah, to be ourselves to be childlike. You know, Picasso said something about — said something like, you know, he spent his entire career learning how to paint like a child again or something like that. MR. MCFERRIN: Yeah. Yeah, it’s very, very difficult. MS. TIPPETT: Mm-hmm. It seems to me in some ways that the trajectory of your career, I mean, you’ve done a lot of things — you do a lot of different kinds of music. You do conduct orchestras with classical music. MS. TIPPETT: … which, in a very simple way — in the way we talk about, you know, in the way we look about moving from childhood to adulthood or you know from being an amateur to a professional. In some ways you’ve reversed the logic of that. MR. MCFERRIN: In what — in what way do you mean? MR. MCFERRIN: This is why I love improvisation and why I think it’s important to teach children how to improvise — children of all ages to improvise. MR. MCFERRIN: … because somewhere within the first two minutes of this exercise, they are going to start talking to themselves and telling themselves how stupid this is and how dumb it is. And they start thinking about how, you know, whether they are singing in tune or not or how crazy they might be sounding and, “I’m glad that there’s no one else around to listen to me sing because they’d think I was crazy” — and all that kind of stuff. And I tell them to fight all the tendencies to stop because you are going to want to. Two minutes into it, three minutes into it, eight minutes into it, you are going to want to stop. Your entire being, your body is going to be screaming, “Stop. Let me off of this,” you know. MR. MCFERRIN: And we’d do that for a week of two, and then I’d show the middle C on the staff and say, “OK, this is a middle C. We’re going to improvise on this one note, just this,” you know, and we’ll just (makes sound) whatever they want to do play that. MR. MCFERRIN: Then maybe after a couple days of that, I’ll introduce D and we’ll improvise on C and D and go back and forth, you know. We’ll play around with that for a while, and I’ll just gradually introduce different elements of music. But it all starts from improvisation. MS. TIPPETT: I’m Krista Tippett and this is On Being. Today, with a master of vocal improvisation, Bobby McFerrin. MS. TIPPETT: I want to ask you about one of the most overtly religious songs you’ve done, which was a song — the — when you set the Psalm 23 to music and you dedicated it to you mother. MS. TIPPETT: I know it means a lot. I know it’s played often in religious settings and, um, and you played with the gender. MS. TIPPETT: Um, and I looked and looked for, uh, if you ever talked about that but I’d love to hear the story of that song, of that setting. MR. MCFERRIN: I have a group called Voicestra, uh, which is an improvisational group. And at one of the rehearsals, we got — we were rehearsing in a church. MR. MCFERRIN: And we got to talking about the heavy patriarchal element of, you know, religion and all that stuff. And at the time, one of my musical exercises was to write a piece of music first thing in the morning. So I would get up and before I would do anything else, I’d go into my studio and I’d write. And I guess because of this conversation that we had had, you know, at that rehearsal, I thought, well let me — let me write something with, you know, with the feminine gender. And I wanted to because when we think about God’s love it should encompass, you know, the mother and father, you know, the feelings of a man, the feelings of a woman. They are different, you know. MR. MCFERRIN: And so this song just seemed to come out. MR. MCFERRIN: … Episcopal hymnbook. And I wrote the feminine because I just wanted to remind people that for a lot of people, you know, when they think of their fathers, some of them might not have had great relationships with their dads. And also mothers too, you know; some of them don’t have great relationships with their mothers. But sometimes we forget just the feminine element in religious service. And I just wanted to bring that out. MS. TIPPETT: You work a lot — it seems to me, um, I mean that — that is an overtly — that is — those are religious words. MR. MCFERRIN: Tower of Babel, yeah. MS. TIPPETT: … which you performed in 2010 in Moscow. I’ve been really intrigued speaking with Muslims in recent years about the musicality of the Qur’an. You know, they’ll say it’s not music but it has musicality. MR. MCFERRIN: I know exactly what you mean. MR. MCFERRIN: Yes, I do indeed. MS. TIPPETT: And I hear that coming out in that. And, you know, you’ve got Tibetan throat singing, I mean, other versions of that of the musicality that’s at the heart of these traditions. MR. MCFERRIN: A couple of things: One, my favorite book in the Bible is the Psalms. I go through the Psalms every month. I read — I read scripture constantly, but the Psalms is like the book that I go to most of the time because in it is conveyed every human emotion. And what that tells me is that God gets it. He gets us. He understands us perfectly because he, in his book, has included the emotional, roller coaster rides that all of us go through. He gets it all. He understands it all. He can take it. MS. TIPPETT: Those angry psalms, the cursing psalms. MR. MCFERRIN: He can take it. He can take it. MR. MCFERRIN: He can take it. He says, “I get you. I understand you. I love you,” you know? I was in Italy once, sitting at a café getting ready to get on my bus to catch my plane. And all of a sudden, out of the lobby, I heard one of the most incredible voices I think I’d ever heard from this man singing, at the top of his lungs, the most beautiful song. And he was a musician. He had been there the night before with a band. I can’t remember the band that he was with. And I said, “Oh, you must come over and sit down.” So he sat down and he had — we had breakfast together. And he began to tell me about his family. Now his family — he was part of this family that where their tradition was to sing through the Qur’an. They sang through it, and they’d been doing it, you know, for like 500 years or something like that. MR. MCFERRIN: And I thought, singing through the Qur’an. And he says, “Oh, yes. We start at the beginning; we go to the end. We have all these scales, and they’re all these sort of songs that are attached to certain verses and chapters or whatever.” But they sing through it and he grew up in this tradition. Oh, my God, I thought, wow, what would that be like to just to sing through all the Psalms. And I’ve attempted to get — to get through them. MS. TIPPETT: Right. Well, of course monks do that. Maybe that’s something you are attracted to. MR. MCFERRIN: They do, yeah. Right. MR. MCFERRIN: It could be. But I think that’s really wonderful. I think that there’s a lot of music in scripture, a lot of music. MS. TIPPETT: Mm-hmm. I do think that that whole question of music and the deep musicality that’s sacred, right, that’s there as you say in Christianity and Judaism, it’s not always in the form of kind of straightforward singing. It’s chanting or — right, it’s throat singing or it’s reciting. MR. MCFERRIN: It’s reciting. I was once given a book by a man who — and what’s —what’s his name, um, it — it’ll come to me. It’ll come to me. In his library, he had — he collected hymnals. MR. MCFERRIN: And, um, I was just thumbing through his library and I found this one little book called Spiritual Songs. And I opened it, and it was the words to hymns, but not the music. And he was telling me about the tradition in some churches where there’s a song leader who sings a melody, and the choir would just simply respond by singing whatever the song leader would sing. MR. MCFERRIN: So you have that. And you also have the fact that some of these people have been singing these songs for so long that they didn’t need to put the music in the hymnal because they — everybody knew. MR. MCFERRIN: Everyone knew the hymns, you know. OK. Turn to 176, hymn 176, ah, 176: The lord, (singing melody) whatever. Turn to 825: (singing melody) whatever. Everybody knew all the tunes, you know, so you have that on one hand, and then you also have the improvisational element where the song leader would sing, “Oh, Lord, yeah, follow you with all my heart. Oh lord, I follow you with all my heart.” You know they would just make it up on the spot. MS. TIPPETT: You’re living in Philadelphia now, and I’m just remembering a summer I spent in Philadelphia, in a — I think they were American Baptist — it was an African-American congregation in South Philadelphia. MS. TIPPETT: And they just got together, I mean, before church started. I don’t know what time church started — 11:00 or 12:00 — but you sang, they sang for two or three hours. MS. TIPPETT: Just like that. MR. MCFERRIN: I attended a church called Zion Baptist Church in Philadelphia for a little while. And the reason I don’t go there often is because the services are all day long. MS. TIPPETT: Yeah, ’cause then there’s lunch after church, right. MR. MCFERRIN: They just stay in church all day long. And I have to admire that, you know, because you most definitely feel the spirit when you’ve been surrounded by these people for so long. MS. TIPPETT: You can listen again, share and watch my conversation with Bobby McFerrin through our website, onbeing.org. MS. TIPPETT: I’m Krista Tippett and this is On Being. 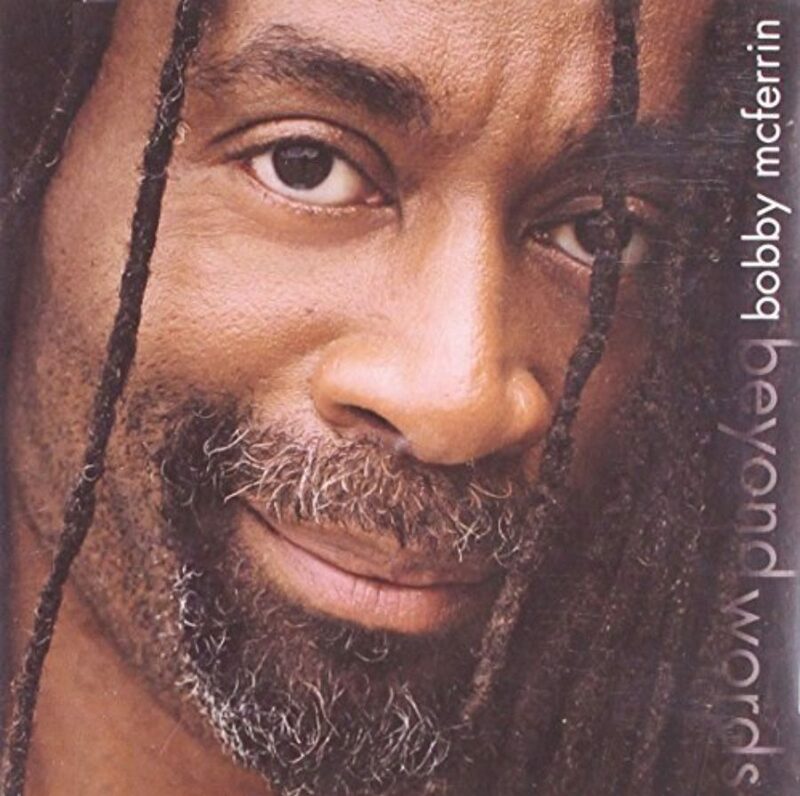 Today, my 2011 conversation at Orchestra Hall in Minneapolis with a genre-bending vocal magician and conductor, Bobby McFerrin. MR. MCFERRIN: Oh, charismatic; oh, I see. MS. TIPPETT: Because you heard that, you heard that this human, um, attempt to reach out to, grasp, immerse oneself in what is sacred, right, to touch that — to evoke that. MR. MCFERRIN: And music is such an important way of getting there. MR. MCFERRIN: To me that’s why the — the Psalms — I think it’s not an accident that it’s in the very center of the Bible. If you just open it up and you come to the song book. MR. MCFERRIN: You know, I’ve been doing this for a long, long time, singing in front of people and having a great, great time. And, you know, it’s one thing when someone says, “Oh, man, how did you do that?” You know, “How did you sing two notes at once?” and how did you do, you know, technically blah, blah, blah. But I remember so well, you know, I — I’m reminded why I do what I do. This is why I do what I do. At the end of concerts instead of doing an encore I’ve — I’ve decided to do question and answers, you know. So we turn on the house lights, and I get a chance to see my audience really for the first time. And, you know, let’s just hang out. What do you want to talk about? What do you want to ask me? You know, and so I get all kinds of questions. And I remembered this wonderful woman standing up one day and she said, “I feel so good.” She says, “You made me feel so good.” And to me that’s what it’s all about. MR. MCFERRIN: That’s — that’s the whole bottom line. That’s why I’m a musician, you know. MS. TIPPETT: And you know — and this is connected to what we’re talking about I think. There are all these videos on YouTube of you teaching the pentatonic scale to a crowd full of people at World Science Festival. But it’s — so when you perform and when you do something like that, you get people singing together. And there’s — there’s something completely elemental and life-giving about that, right? I mean, we don’t do that in this culture very often. When you have the experience, you wonder why don’t we do that, right? MR. MCFERRIN: … when we want to? MS. TIPPETT: This is Bobby McFerrin at that World Science Festival in 2009. He was on a panel with a group of neuroscientists, when he led the audience in an impromptu round of the pentatonic scale. Following the movement of his body, they saw and sang the notes. MR. MCFERRIN: For me, the high points of my evenings is hearing 3,000 voices, you know, singing with me. You know it’s all about getting them to remember who they are and what they can do. MR. MCFERRIN: I mean, who hasn’t had this fantasy: You go to a concert, you listen to this great band, you’ve got a wonderful voice, you know, you hear the background singers singing and they are leaving out that one note that you love. And so you sing that third part, you know. You’re sitting in your seat but you’re still singing their part, and you wish were up on stage with them. Or who hasn’t had the fantasy of, you know, you’re attending a symphony orchestra, it’s 8:00; it’s 8:15; it’s 8:30. The conductor hasn’t showed up, you know. The orchestra personnel director walks out on stage and says, you know, the conductor can’t make it is there anyone in the audience who knows tonight’s program? Would they lead the orchestra, you know, through Beethoven’s Seventh Symphony? Who hasn’t had that fantasy that all of a sudden you’ve been given the opportunity to direct this great, you know, choir or orchestra or sing background vocals with a really great band? Everyone has had that fantasy, you know, so they want to do it. They’re ready to go, you know. MS. TIPPETT: Mm-hmm. It’s the karaoke — the impulse behind karaoke. MS. TIPPETT: If I ask you, you know, if you think about — what does — what does that teach you? What do you take from that about — like what — what makes us human or the nature of God? Because there is something — if for — it’s rare but it’s also completely essential, this singing together. MR. MCFERRIN: Singing together, it’s essential for me, because I grew up in a house full of singers. MR. MCFERRIN: There was singing in my house going on all the time. It was very, very natural. My parents — both my parents were voice teachers. So there were students traipsing in and out of the house all day long. When my father made his debut at the Met in 1955, the entire sort of African-American classical community would come by the house to congratulate my dad, you know, and there would always be singers in the house having sort of like singing parties. My mother was the soprano soloist at the church that I grew up in. So there was singing, singing, singing going on all the time. To me, it’s very, very natural for me to break out into song, because I do it all the time. I’ve been trying to think of ways to get an audience to sing even more than I’ve allowed them to in the past. You know how can I really make them the band, you know. And what this woman said the other day, when she says, “I really feel great now.” This is what I want everyone to experience it — when at the end of my concert is everyone has got — has this sense of rejoicing or joy. MR. MCFERRIN: You know, because I want everyone to feel joy at the end of a concert. Not, I don’t want them to be blown away by what I do. I want them to have this sense of real, real joy from the depths of their being. That’s what it’s all about, because I think when you take them to that place then you introduce — you open up a place where grace can come in, you know? MS. TIPPETT: Can you explain why — why music does that, why singing taps that place? MR. MCFERRIN: … is like gone away. Or there have been nights when I’ve emotionally been just maybe a little bit off — maybe I’ve had an argument with someone or a misunderstanding with one of my children or something like that, you know. And I walk on stage and I’m just like (makes growling noise). MR. MCFERRIN: OK, blah, blah, blah, you know, fists clenched and just sort of, you know, just hot, you know. And within a minute, you know, I’m open, I’m happy, I’ve cooled off. I think the best way to sort of deal with temptation is to actually sing, you know? MR. MCFERRIN: Yeah. Yeah, if you’re — if you’re like tempted to say the wrong thing or whatever, you know, to open up your mouth and start singing is a great way to deflect negative emotion. I think it’s a really good way to feed yourself some positive. MS. TIPPETT: Singing as an ethical discipline. MR. MCFERRIN: There you go. And why not, yeah. MS. TIPPETT: So in — in a lot meditative traditions, there’s this core insight that the breath unites mind and body and spirit. And voice, singing, is also a lot about breath, right? MR. MCFERRIN: Yeah, I at one point attempted to practice some kind of Buddhist breathing discipline, you know, watching my breath, you know, just simply watching it. MR. MCFERRIN: It wasn’t — it wasn’t enough for me, you know. But when I started singing, to me that’s what was missing, you know. Watching my breath was one thing; watching a sound is another. Watching a sound on a breath is another thing altogether. And — and I’ve pretty much kept up that discipline. Even now when I’m on stage, I watch what comes out. I hear it, but I also watch to see. I mean you can imagine notes coming out of your mouth. You can imagine that when you sing, just like you can imagine words, you know. “I love you,” you can imagine that. MR. MCFERRIN: You know, and sounds — you can also imagine sound coming out of your mouth. So I like to think of sound coming out, going out, surrounding the room that I’m in, you know, surrounding myself, surrounding people. MS. TIPPETT: So you mean that when you are singing though, you’re watching the sound like you might watch the breath in meditation. It’s — it’s happening and you’re paying attention to it at the same time. MS. TIPPETT: Yeah, but it’s different every time, right? MR. MCFERRIN: It’s different every time. MS. TIPPETT: And every time it’s risky, you don’t know — you don’t know what will happen. MS. TIPPETT: I mean, just knowing the techniques doesn’t control the experience. MS. TIPPETT: And you don’t even want the experience controlled. 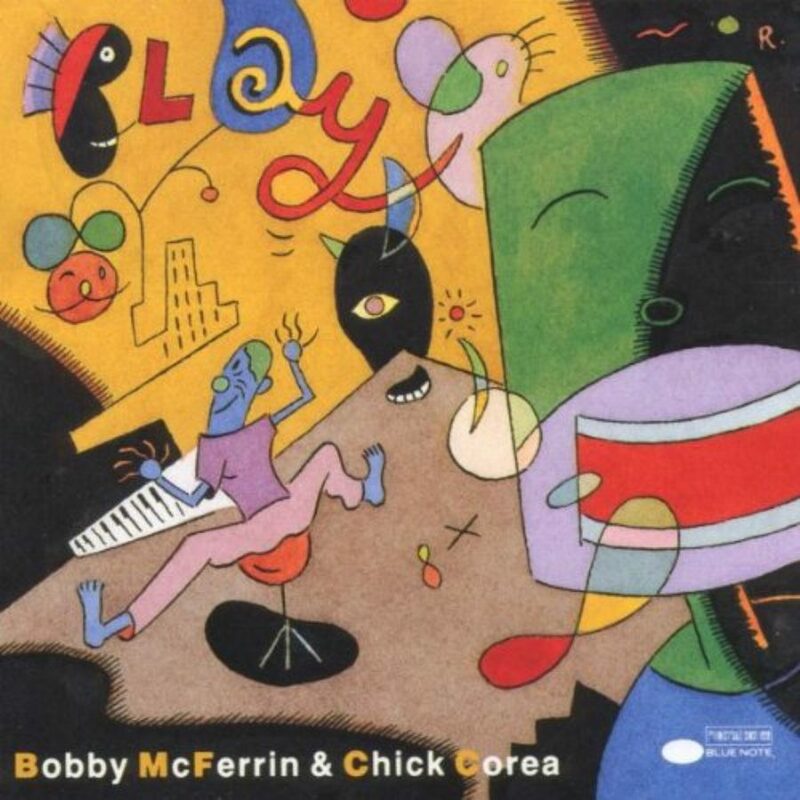 MR. MCFERRIN: You know, I spend a lot of time — well quite a bit of time working with a pianist by the name of Chick Corea. And a few months ago, he was playing a club called the Blue Note in New York City, with Roy Haynes on drums. I can’t remember who else was in the band. And I couldn’t attend the gig, so he invited me to the sound check. So I just went to the sound check and I’m sitting in the club and he’s playing and the thing that struck me was the ease in which he played. You know, he’s at that point — and all musicians want this. They want to get to the point where they don’t think — they don’t have to think anymore about their technique. MR. MCFERRIN: They simply have it. It’s not something they struggle to get, you know, anymore. They’ve got it, you know; they’re not conscious of themselves playing. They just play. You know, they’re not thinking about playing; they’re just playing. And it’s taken me a long, long, long time to get there. I started singing at 27. I’m 61. And now I can say that I’ve gotten to the point where I don’t even think about singing. I just sing. MR. MCFERRIN: You know? It just comes out. There use to be a point where I would be afraid of making mistakes. I’m no longer afraid of making mistakes. I make them every night during a performance. Something happens: I meant for my voice to go right and it went left instead. I meant for my voice to go up and it goes down, you know. Wherever my voice goes, wherever it takes me I just follow it. I just watch it. It leads me to whatever, you know. I trust it. MS. TIPPETT: So much of what you say about what you’ve learned about music is also just true of life, right? MR. MCFERRIN: Oh, my goodness, yes, of course. MR. MCFERRIN: Yeah, that’s right. Yeah, it’s all about that. You know if you can’t play with four strings, play with three. If you’ve got a guitar with only one string on it, then play a one-string guitar. But you know you just use what you have and — and do your best. And there you have it. MS. TIPPETT: Do you ever think about what — what is it about you that made you — that — that has allowed you to inhabit music like this and really as a — what did I say at the beginning, I thought of you as, uh, an explorer on the frontier of music, but it’s also as music as a human frontier. MR. MCFERRIN: Well, you know, it’s funny the first thing that came to my mind was watching my father give voice lessons. You know, have you — do you ever watch American Idol? MS. TIPPETT: My children watch it, I try. MR. MCFERRIN: Yeah, I know. MR. MCFERRIN: … once in a while, I thought to myself if I was asked to be like a guest judge on the show would I — would I volunteer would I do it? I don’t know, but you know these singers, God bless them, God bless them, because they have wonderful instruments. They have a wonderful voice. They can sing well. They can sing in tune most of the time. MR. MCFERRIN: You know, uh, they have wonderful instruments, but my father would say, “OK. So what? So what you got a wonderful instrument? So what you can sing in tune? So What?” You know, big deal. You know, what we want is the core — your — your essence. We want your essence. That’s what we want to hear more than anything, you know? MR. MCFERRIN: That’s what he was after. And I think that’s what I got from him. Why I do what I do is because I’m on — I’m — I’m looking for that constantly. MS. TIPPETT: You look for it in a really different way though, right? MR. MCFERRIN: In a very different way. MS. TIPPETT: You draw it out of people, maybe rather than pushing. MS. TIPPETT: You’re pulling it out. MR. MCFERRIN: Pulling it out. MS. TIPPETT: It’s in your music. It’s hard to put words around. MR. MCFERRIN: … to put words around. MS. TIPPETT: It’s hard to put good-enough words around. MR. MCFERRIN: Yes, that’s true. MS. TIPPETT: And I don’t even think we could do justice to it with words — you know, talking about it in your music. MS. TIPPETT: But can we try? MS. TIPPETT: I mean, here’s something I wanted to read to you. This was just some person on the Internet writing about VOCAbuLarieS, which is your 2010 album. MS. TIPPETT: And he’s kind wary about spirituality, in general, and he’s actually trying to make it work. He says, “He may be spiritual,” of Bobby McFerrin, “but he apparently knows the world of the flesh as well, and has a very wicked sense of humor.” Now, what’s interesting to me is he’s writing that as though those things are at odds, but I think that that gets at some of the features of your spirituality that it’s fleshly and it’s humorous. MR. MCFERRIN: Yes. Yes, but isn’t it true though that it’s a constant, constant battle between the spirit and the flesh that we live through every single day. Everyone has the spirit. Everyone is spiritual in the sense it’s — is that the spirit is the animating factor of our lives. Without the spirit we couldn’t be alive. I sincerely believe. You know, I remember when my wife’s mother died, she said that when — the moment that her mother died, she knew that what she was looking at was no longer her mother because the spirit had left her body. MR. MCFERRIN: And it’s the spirit that animates our life. But everyday from the moment that you get up until the hour that you go to bed, you are battling — your spirit and your flesh are battling for dominance, constantly, you know? You know that the right thing to do is to not say what’s on your mind, even though it might be true and even though it might be necessary, but it’s not kind. MR. MCFERRIN: But you want to say it anyway, you’re battling with the flesh and the spirit. The flesh says, just get it off your chest. And the spirit says, no wait, you know. Think, you know. Pause. Find the right word or the right time. Maybe now is not the time to do it. I mean it’s a constant war. So what this guy is saying is absolutely true, but it’s true for everyone. You know? MS. TIPPETT: Mm-hmm. But the spirituality in your music is embodied, right? It’s fleshly too. I mean that joy — that joy that we — you talked about. That — that transformative thing that happens when you start singing is not just — it’s not just about the sound. It’s something that’s happening in your whole body. And music has that transformative effect on a listener as well. MR. MCFERRIN: Yeah, well, you know one of the things that I know in 90 minutes of performing on stage or being on stage is that I’m in the battle with the flesh and I’m going to win. You know at the end of — you know for 90 minutes I’m victorious. 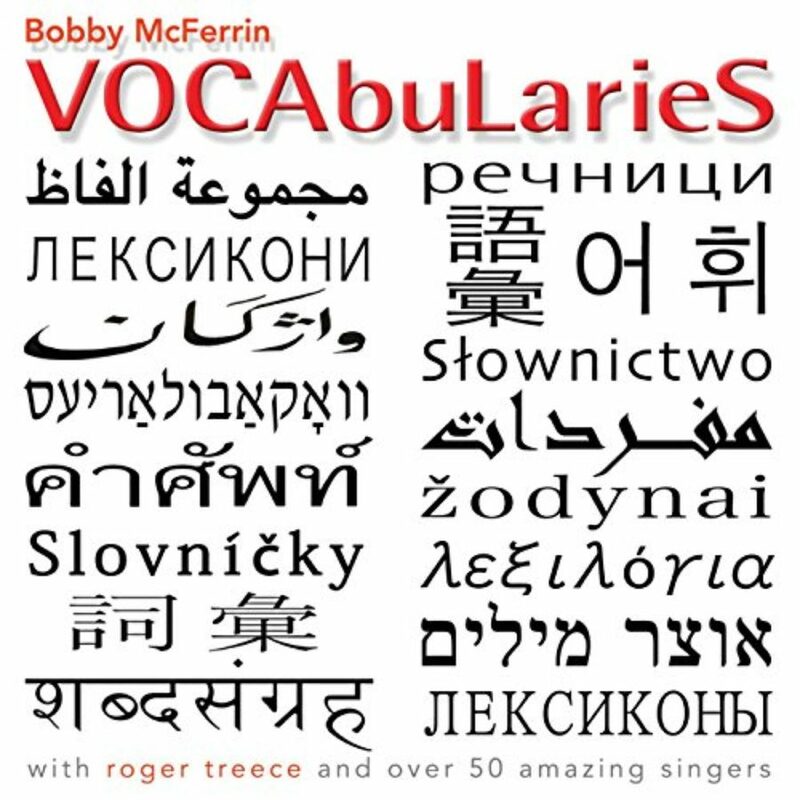 MR. MCFERRIN: She says, “Well, you know, I heard moments when you were singing these sounds, these languages, you know, that I had been working on. 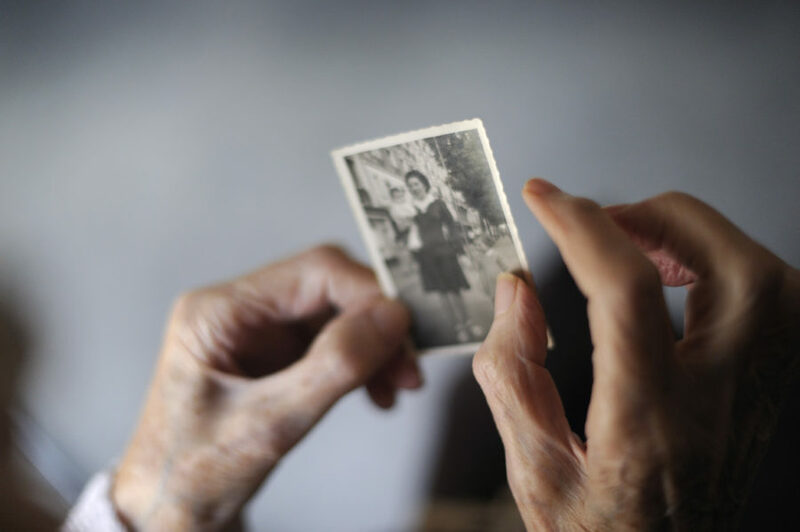 I want to know how you know them.” And I said, “Well, I don’t know them and I hate to disappoint you.” But what that got me thinking about was the fact that we are — we are embodied memories of our ancestors. I have my father in me — I have information in my head. I know my dad; I can tell you stories about my dad because he told me them or I watched them. And he in turn has a memory of his father, and so on and so on. So I began to think, well am I — you know, am I accessing a memory when I sing? And this is the only way I can access it by — is through my voice, you know. Is that — is this the way I get to it? I find that actually kind of interesting. MR. MCFERRIN: You know, it’s like an ancestral memory, like, we all have it, you know. So how far back does it go? I mean, maybe it goes all the way back, you know. MS. TIPPETT: Do you think singing is older than language? That music is older than words. MR. MCFERRIN: I don’t know for sure. Do I think that it — that music is a — is a tool for more than entertainment? Definitely. Is it a tool for inner attainment? I use it for that. I use it to pray, you know. I sing my prayers — in my room, in the morning. In my morning discipline, you know, I walk the floor back and forth, back and forth and pray. And sometimes, all of sudden, I just start singing something because it’s the best way I can get it out, you know. MS. TIPPETT: How do you think about mystery? Is that a word you use? MR. MCFERRIN: I do. I use it quite a bit. I love the mystery of improvisation — you never know what’s going to happen, you know. I have no idea what’s going to happen tonight; I’m looking forward to finding out. MR. MCFERRIN: You know, I mean, that’s what it’s all about. 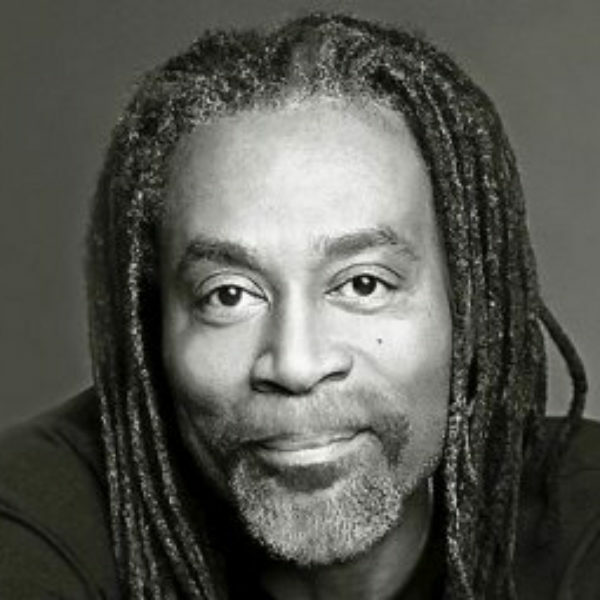 MS. TIPPETT: That evening Bobby McFerrin performed a solo show to a sold-out audience at Orchestra Hall in Minneapolis. The music you heard this hour came from several of his albums, including VOCAbuLarieS, Medicine Music, and Beyond Words. He has a new album called SpiritYouAll. MS. TIPPETT: On Being is Trent Gilliss, Chris Heagle, Lily Percy, Mikel Elcessor, Mariah Helgeson, Mary Sue Hannan, and Joshua Rae. Special thanks this week to Gwen Pappas , Sandi Brown, Chuck Olsen, and Matt Ehling. MS. TIPPETT: It’s a beautiful thing to work with people and projects you admire, and this week “The Moth Radio Hour” has done me the great honor of podcasting a story they asked me to tell at one of their magical stage shows. “The Moth” reminds all of us of how the particular stories of our lives are openings for the universal adventure of what it means to be human. The story I told begins in a small town in Oklahoma and ends on the west coast of Ireland with a wizard-like wise woman named Mary Madison — whom I had never met before. MS. TIPPETT: My feet are bare in a bowl full of stones from the Irish coast, and she is in fact telling me things she can’t possibly know, she knew nothing about me, she doesn’t even ask your name or what you do…She told me about my work, she told me about myself, she described my children exquisitely. And then she started describing this gentleman she was seeing and, um, clearly it was my grandfather. Hear so much more at themoth.org, and in the space where our story unfolds, onbeing.org.